Even though it’s super hot in most sections of the country right now, school begins here very soon! 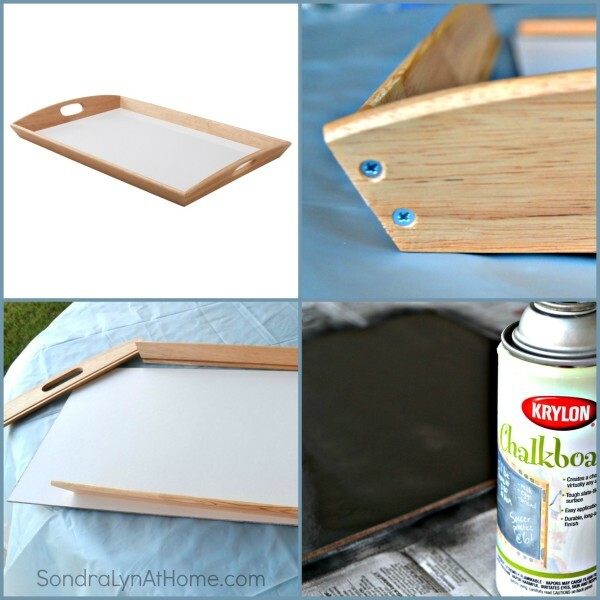 This IKEA hack painted chalkboard tray is a cute back-to-school project. Like most of you, I love IKEA. I don’t have one near me, though, so I don’t get many opportunities to go. 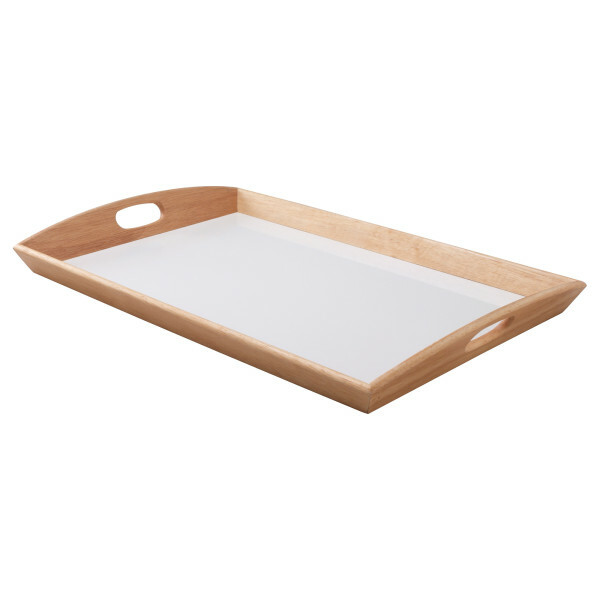 On one of my infrequent tips to IKEA, I scored this serving tray, the KLACK tray, which is sleek and simple. I happen to like sleek, and it was fine like it was, but I really like a chippy,’vintage’ look. 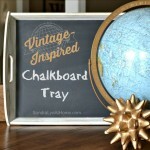 So I decided to remake the tray with chalk paint and chalkboard paint to make that sleek new tray look old! 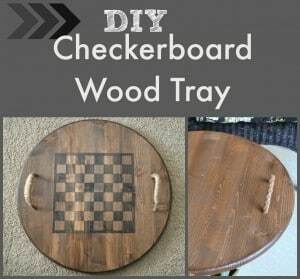 The flat part of the tray is made of an acrylic coating on fiberboard, but the rest of the tray is solid rubberwood. Rather than doing a lot of taping, it seemed like a good idea to see if it could be disassembled for painting. There were screws in each end, so it was easy to take apart! 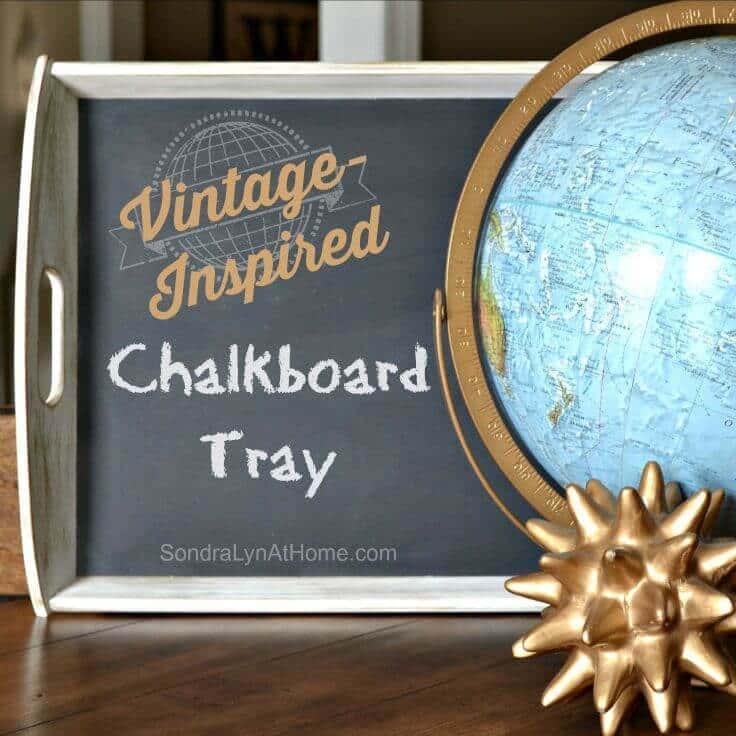 The next step was to paint the bottom of the tray with chalkboard spray paint. I gave it 3 light, but good, coats and let it dry for 24 hours before seasoning the board with chalk. While the chalkboard tray bottom was drying, I painted the frame of the tray. 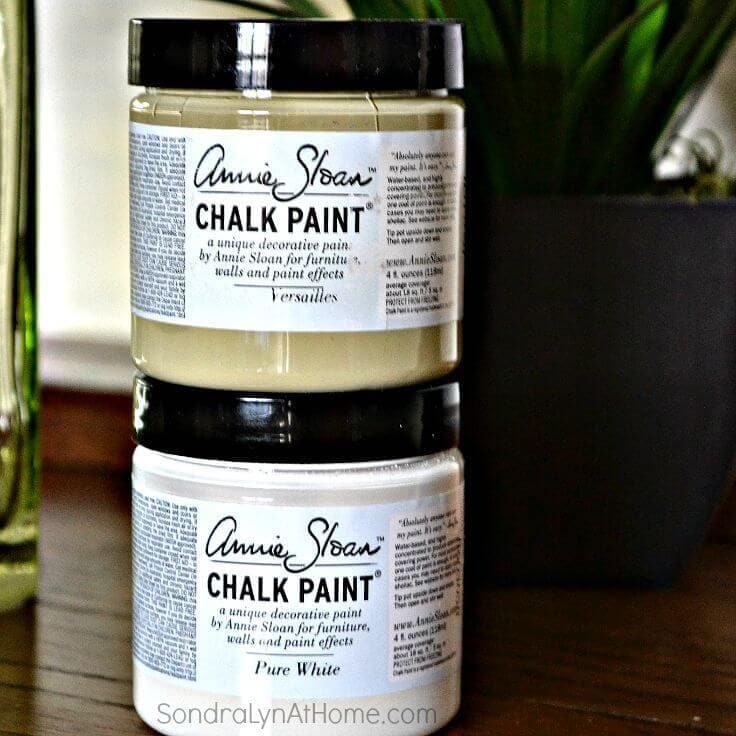 The first coat I applied was Annie Sloan chalk paint in ‘Versailles’, which is a lovely, sage-y green. When that coat dried, I topped it with a coat of AS ‘Pure White’. 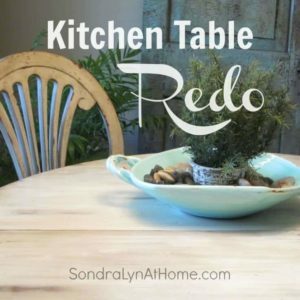 When the paint was dry, I distressed the tray with sandpaper. Part of the distressing takes the finish back to the original, while part goes just to the green. 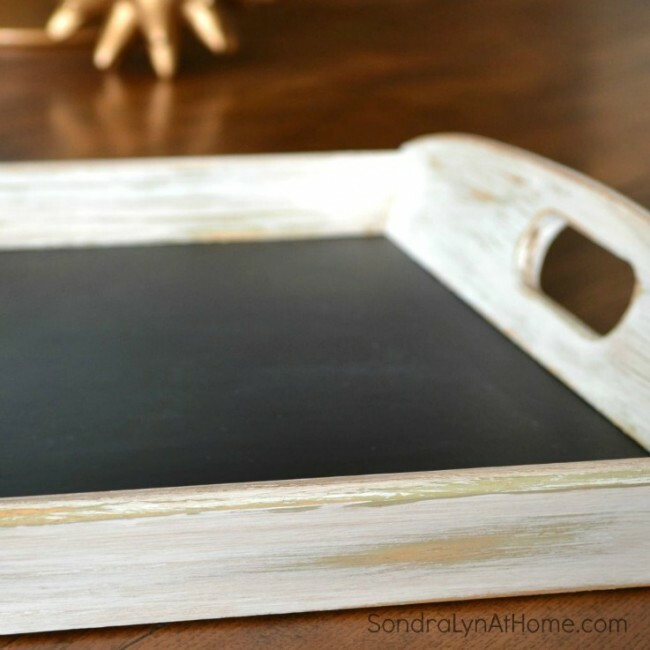 I hope you love this painted chalkboard tray as much as I do. Since I already had my supplies, my cost was limited to the $7.99 I paid for the tray itself! 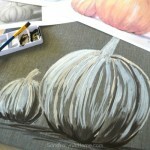 And that’s another thing I love: a budget-friendly project! When does school start where you live? 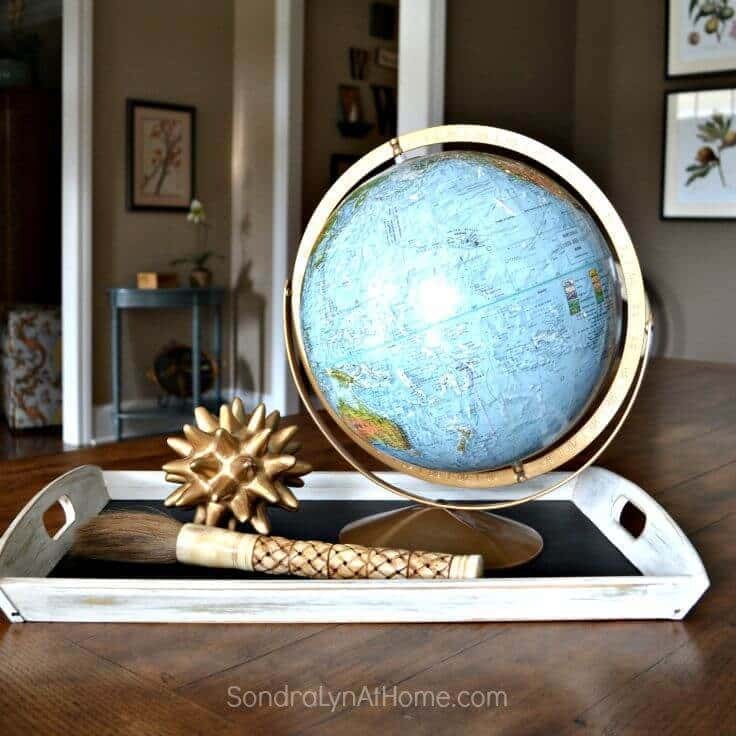 Do you have a fun back-to-school decor idea that you’d like to share with me? 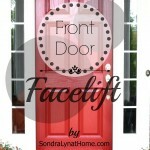 If so, feel free to email me at sondra@sondralynathome.com. 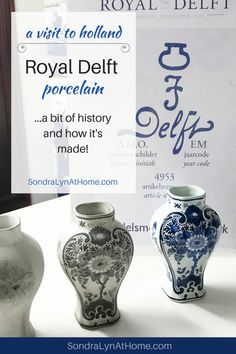 Here are some other projects you might enjoy! This is lovely and I love the stencil you added. 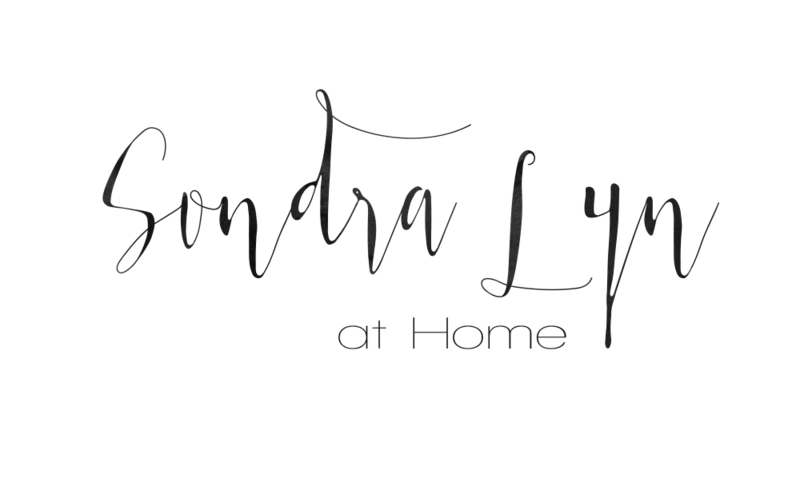 It’s always fun to stop by and see what you have been creating Sondra! 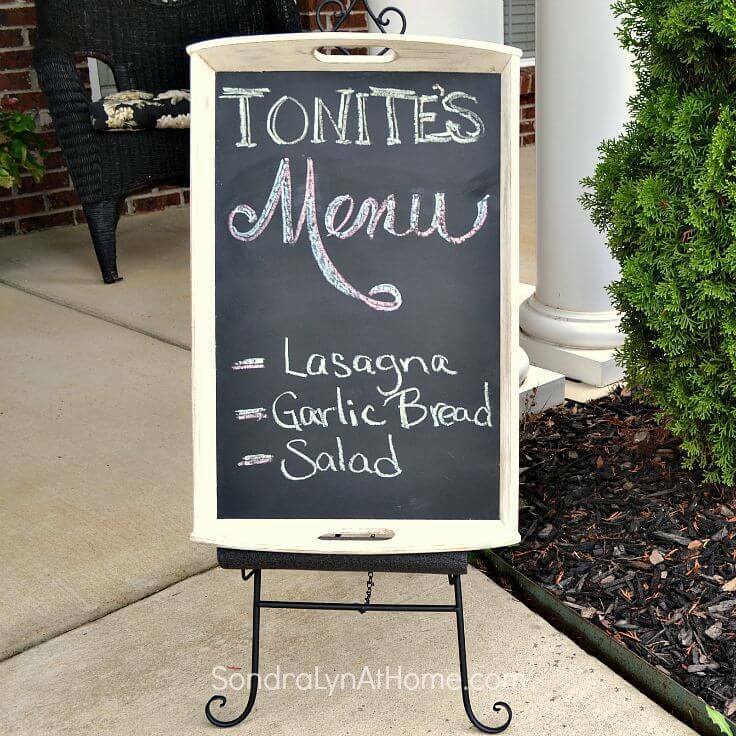 I love using trays, & I especially love the chalkboard!! This looks like a tray I have at home! 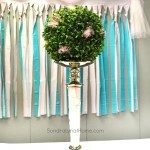 I bought it with the same colors you redid yours in and for the same price from Ross – how funny! I love how yours turned out. 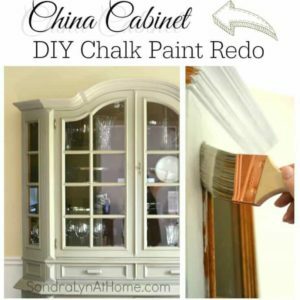 Chalk paint and a little distressing truly does wonders! !